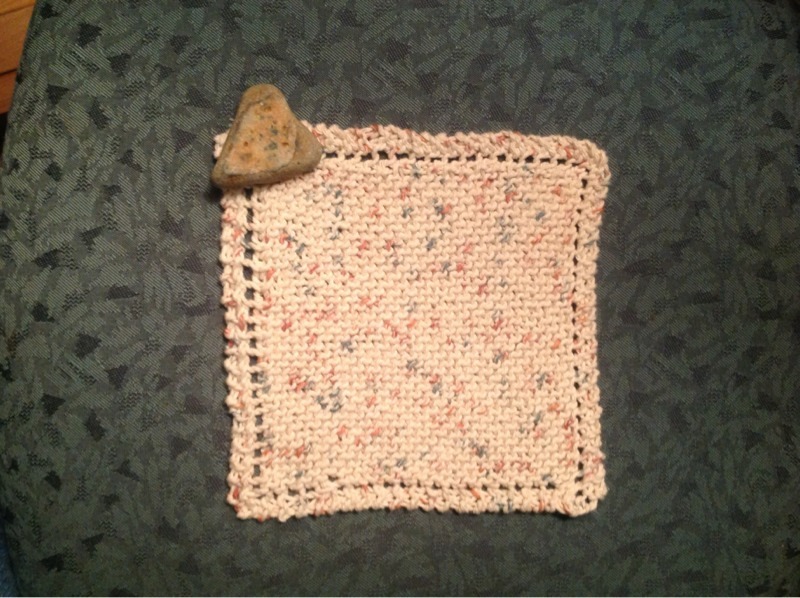 It may look like "just a little washcloth" but my oh my...it is so much more! 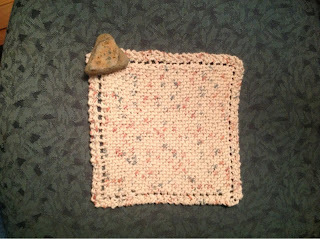 This little knitted square has been waiting to be made for at least 10 years. WARNING, once you use this type of dishcloth it will spoil you for all others. The 100 % cotton yarn has a sturdy and long lasting texture. It cleans anything and will last forever AND it makes scrubbing a cinch; just ask my husband "Retired Bob", he uses his each and every day with sparkling results. These were a favorite of my grandmother and my mother. After I received a few for Christmas several years back, I vowed that I would make some too. I bought the yarn, found the pattern and then of course moved on to something else. This week my forgotten project was rediscovered. 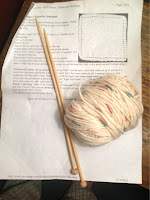 One lonely orphaned ball of yarn waiting....waiting....waiting to be finally finished! I think this might be the last unfinished knit project using STASH. I am now moving on to unfinished sewing projects ughhh (which, by the way there are dozens) . Stay tuned for an array pillows, purses, baby and doll clothes and gasp.....a skirt and Roman Shades? Are they in style anymore? Yikes! Loving it! Next one will be prettier colors though. Have a great day. Congrats on finally finishing not only your (lovely) dishcloth, but your unfinished knitting! Chel, That is really funny. Take it as a compliment I guess right? Thanks for stopping by.